Biokineticists are medical professionals that are bound by the Hippocratic Oath, Health Professions Act of 1974, as well as the Constitution of South Africa. As such they are duty bound to uphold medical ethics and good business practices. This is in your best interest as a patient. Informed consent relates to a person’s right to human dignity and autonomy. It has long been part of South African law that a patient must provide informed consent for all medical treatment (diagnostic or therapeutic) on him/her (Stoffberg v Elliot, 1912). The medical practitioner has the duty to obtain the consent for treatment and assessment from the patient. Informed consent means that sufficient information is provided to the patient to make an informed decision and that the patient actually understands the information and the implications of acting on that information. Give their patients the information they ask for or need about their condition, its treatment and prognosis. information must be given in a language that the patient understands and in a manner that takes into account the patient’s level of literacy, understanding, values and belief systems. Refrain from withholding from their patients any information, investigation, treatment of procedure the health care practitioner knows would be in the patient’s best interest. Apply the principle of informed consent as an on-going process. Allow patients access to their medical records. Goal of the consumer protection act: To promote a fair, accessible and sustainable marketplace for consumer products and services. And for that purpose to establish national norms and standards relating to consumer protection, to provide for improved standards of consumer information, to prohibit certain unfair marketing and business practices, to promote responsible consumer behaviour, and to promote a consistent legislative and enforcement framework relating to consumer transactions and agreements. With this in mind it is important to note that there is a cost involved with the Biokinetics services offered by Neil Hopkins Biokineticist, and patients are under financial obligation to pay. 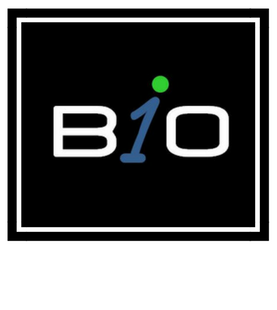 The initial Biokinetics consultation and follow up consultations vary in cost depending on the service required. Please note that Neil Hopkins Biokineticist is contracted out of medical aid. The consultation is a business transaction between the patient and the practitioner. Medical aid companies constitute a third party that is not directly involved in the provision of the Biokinetics service. It is therefore the patient’s responsibility to deal with their medical aid, submit claims, and deal with queries. Due to the Competition Commission in South Africa there is no longer a National Health Reference Price List. As a result there are no generic price references for Biokinetics services. Each medical aid has their own “medical aid rate”, therefore no guarantees can be given that the consultation / treatment cost will be covered 100% by your medical aid provider. This is not the fault of your practitioner, but rather the protocol / policy of your provider. Goal of the protection of personal information act: To promote the protection of personal information processed by public and private bodies; and to introduce certain conditions so as to establish minimum requirements for the processing of personal information. Effective medical care depends largely on the free flow of information between patient and healthcare professional, possibly only if patients are assured of confidentiality when they disclose anything. The National Health Act makes it an offence to divulge information about health service users without the user’s consent. The only permissible exceptions are when the law or a court order requires disclosure, or if non-disclosure would represent a serious threat to public health. There are relationships that require one or both party’s consent before information can be disclosed to a third-party. One of the common relationships is that of doctor and patient. This type of relationship involves personal and sensitive information. Doctor-patient confidentiality is based on the notion that a person shouldn’t be worried about seeking medical treatment for fear that his or her condition will be disclosed to others. The objective of this confidential relationship is to make patients feel comfortable enough in providing any and all relevant information. This assists doctors in making correct diagnosis, and ultimately providing patients with the best possible medical care. • Where justified in the public interest. • In the case of a deceased patient, with written consent of his/her next-of-kin or the executor of such deceased patient’s estate. The duty of confidentiality continues even after a patient has stopped seeing or being treated by that particular practitioner. The duty even survives the death of a patient. That means if the patient passes away, his/ her medical records and information are still protected by doctor-patient confidentiality. The Promotion of Access to Information Act (PAIA) was made a law in 2000. It gives citizens and non-citizens a legal right to get information held by government entities and private corporations. The PAIA allows individuals and organisations to ask for records from the state and private entities that already exist, such as documents, pictures, and audio files.